*Clients who purchase a package receive member benefits for 365 days from the date the package is purchased. Packages expire 365 days from the date the package is purchased. You may upgrade your massage at any time by paying the difference of the member rate for any massage service of equal or greater value. Massages can be shared with friends and family. 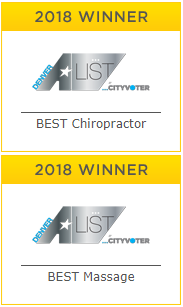 Chiropractic discount is for the member holder only. Monthly Massage: You will automatically be billed 1x per month. If you don’t make it in one month, your massages will automatically rollover so you’ll have two for the following month (massages expire after 6 months). If you come in for a massage before your scheduled payment date, we can either run your payment early or give you member pricing on any additional massages. Your monthly payment fee cannot increase in the first 12 months of your membership, after that you are subject to an increase in accordance with the current member rates. Please call before your scheduled payment date if you need to put your membership on hold (up to 6 months) or cancel your membership (eligible to suspend or cancel after 3 months).